Grief is a strange thing to me. Even before I became a journalist who could be dispatched to an emergency scene at any moment, I was capable of compartmentalizing emotion. Carrying on with normal life (at least, during daylight hours) after a close college friend passed away unexpectedly last year — right after I started my first full-time job — was tough, but I had to do it. So when reporter Bill and I met a family who continues to mourn the loss of a loved one, it was eye-opening. And heart-breaking. And I’m realizing more and more how incredibly privileged we journalists are, that people open up their hearts to us — strangers — at their most vulnerable moments about their most intimate thoughts. And that is something we need to respect and value. 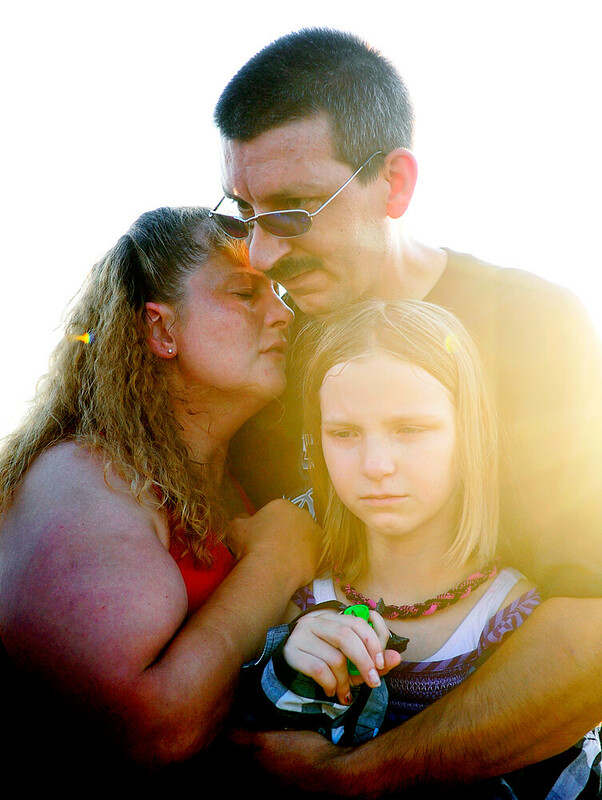 Jennifer may have died in a car crash nine years ago, but her loss remains a raw source of grief to her family and friends, who gather every year on the anniversary of her death at the site of her death. © 2012 by The York Daily Record/Sunday News. 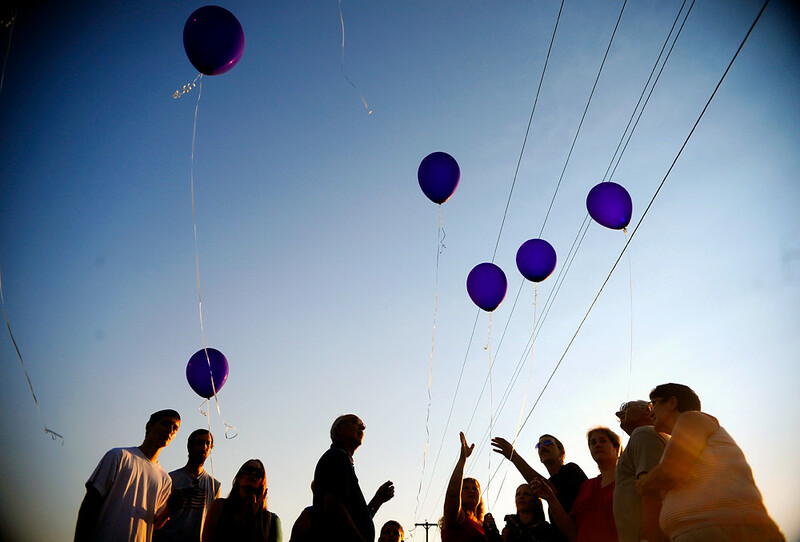 Howard Daniels III of Spring Grove holds his wife Elizabeth and daughter Hannah close after they and other family and friends released balloons in memory of Daniels’ sister Jennifer, who was killed nine years ago in a car crash, on Saturday, June 30, 2012. © 2012 by The York Daily Record/Sunday News. 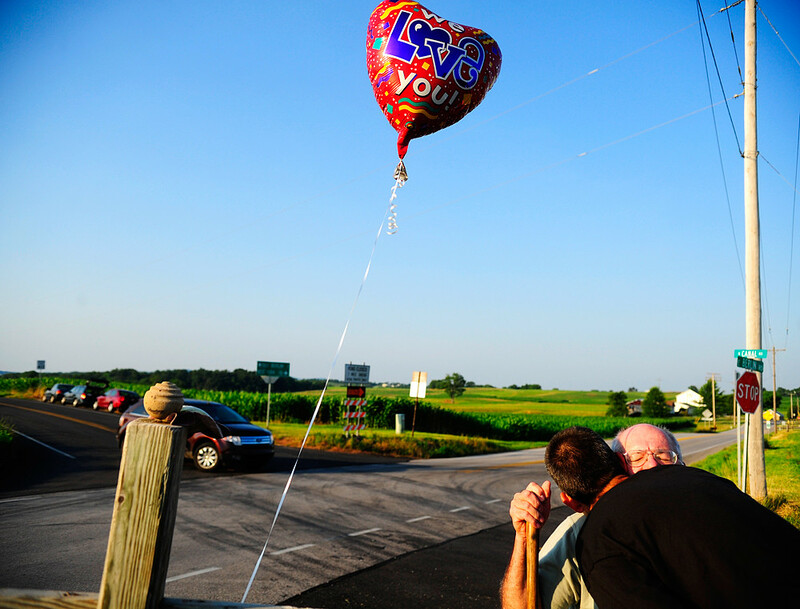 Friends and family release balloons at the intersection of Canal and East Berlin Roads in Paradise Township on the ninth anniversary of Jennifer Dawn Daniels’ death in a car accident at that intersection, on Saturday, June 30, 2012. Check out Bill’s article, which discusses the broader issues of roadside memorials. You’re very good with these kinds of stories. You handle them quite well. You show the humanity in your subjects without sensationalizing the story. Brilliant photography work, too. Keep up the great work.